Come out and have fun with Ethan. We are so excited for next week’s (Sunday, September 28) 2nd Annual Home Run Derby to raise funds for Ethan’s on-going recovery and rehabilitation. We hope to see you there. The afternoon (12-5PM) promises to be fun for all ages. Ethan still does not speak or move his arms and legs with much purpose. He spends over 10 hours per week in therapies and treatments while attending Loveland Middle School part-time gaining important stimulation when not in therapies. HelpHOPELive, a non-profit organization, makes this all possible. 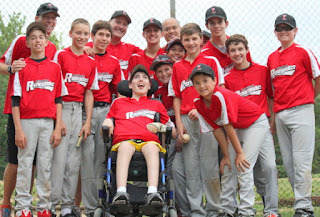 They provide on-going fundraising support to Team Ethan. Through this organization, all the funds raised will go directly to support Ethan and all the contributions are 100% tax deductible. Come out and cheer Ethan as he takes his first swings since his injury. Thanks to the Joe Nuxhall Miracle League for offering Ethan the use of their adaptive batting equipment which will allow Ethan to use a button to swing a bat. Take your own swings too. Everyone is encouraged to participate in the Home Run Derby – $10 for 10 swings. How many home runs can you hit? Sign up athttp://www.bit.ly/2ndhomerunderby. Grab lunch from Bones Burgers Food Truck, participate in the silent auction and meet Tom Browning!! Yes, Tom Browning will be attending this year’s event. Stop by and meet Mr. Perfect – you pick….Ethan or Tom or both. The annual Home Run Derby is an important part of Team Ethan and raised over $25,000 last year. These funds are so important to providing Ethan continued therapies, treatments and home modifications which are not covered by insurance. Ethan hopes to see you all there. 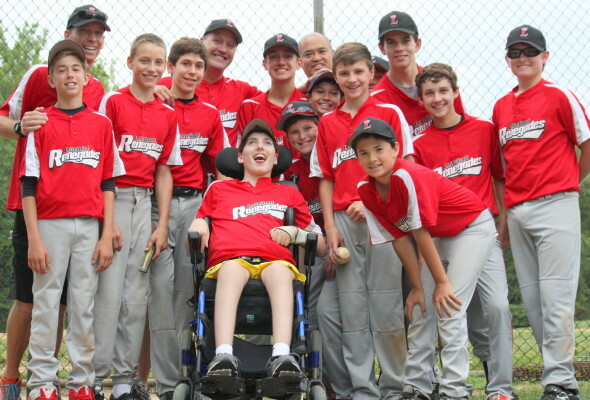 Stop by Loveland Middle School on Sunday, September 28 from 12-5PM for food, fun, and to hit some baseballs – swing for the fences and encourage Ethan to continue his fight to regain his ability to enjoy life.